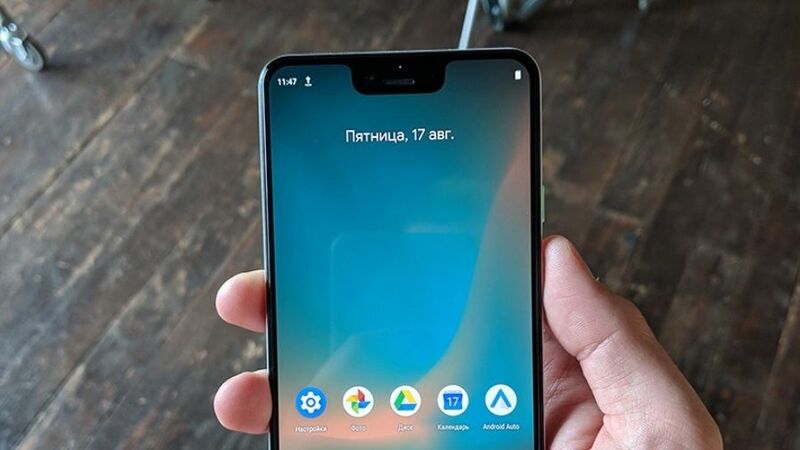 After lots of speculations and leaks, Google Pixel 3 and Pixel 3 XL has now been officially announced, though thanks to the spate of leaks, pretty much everything was known after the two phones. Pixel 3 and Pixel 3 XL sport a design language similar to the Pixel 2 phones, though Google has included dual-front cameras on both. The Pixel 3 XL also sports a notch now, while the Pixel 3 has a bigger 5.5-inch display which is also edge-to-edge. Pixel 3 sports a 5.5-inch full HD+ display with flexible OLED at 443 ppi and an 18:9 aspect ratio. It comes with Corning Gorilla Glass 5 and like the previous Pixel 2. this is an Always-on display. The Pixel 3 now supports HDR. The Pixel 3 XL has a 6.3-inch display with a QHD+ resolution OLED at 523ppi and an 18.5:9. It also has Corning Gorilla Glass 5 on top, and this supports HDR. Pixel 3 XL also has an Always-On Display and yes, a notch as well. The front cameras are placed on either side of the notch. Both phones are powered by the Qualcomm Snapdragon 845 processor and have 4GB RAM. There is no microSD card slot, and Google is offering unlimited storage on Google Photos for those who purchase the phone. This was offered with the Pixel 2 series as well. The Pixel 3 sports a 12.2MP rear camera with dual pixel technology, while the front camera had two sensors. Google has added two 8MP cameras with a wide-angle and telephoto camera, with f/2.2 aperture and DFoV 107° degree and f/1.8 aperture and DFoV 75° respectively. The front camera can take Group Selfies. Pixel 3 has a 2915 mAh battery on board, while the bigger phone has a 3430 mAh battery. Both new Pixels support wireless charging. The phones come with an 18 W/2 A USB type-C charger. Pixel 3 and 3 XL have support for Wi-Fi 2.4GHz + 5.0GHz 802.11a/b/g/n/ac, Bluetooth 5.0 + LE, NFC and Google Cast. For location, the Pixel 3 series supports GPS, GLONASS, Galileo, and BeiDou. This is a 4G VoLTE smartphone, which is also eSIM capable, though whether that feature will be supported in India is unclear. Sensors available on the Pixel 3 phones are Active Edge, Back-mounted Pixel Imprint fingerprint sensor, Proximity/Ambient light sensor, Accelerometer/Gyrometer, Magnetometer, Barometer, Android Sensor Hub and Advanced x-axis haptics for sharper/defined response. The phones have a USB Type-C 3.1 Gen 1 port and a single nano-SIM slot. Google Pixel 3 pricing starts at Rs 71,000 for the 64GB version and Rs 80,000 for 128GB internal storage. Pixel 3 XL 64GB costs Rs 83,000 and the 128GB version will cost Rs 92,000. The Pixel 3 comes in three colours – Just Black, Clearly White and Not Pink. Pre-orders in India will be available from October 11 and will go on sale from November 1. A Google Pixel stands for wireless charging will cost Rs 6,900, and it will also go on sale at the same date.